Posted on October 25th, 2016. 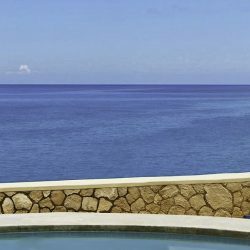 On one of our most recent trips to Jamaica, Noreen and I had just enough time from viewing our Exceptional villas in Jamaica to get out and discover some of the many wonderful attractions Montego Bay has to offer. 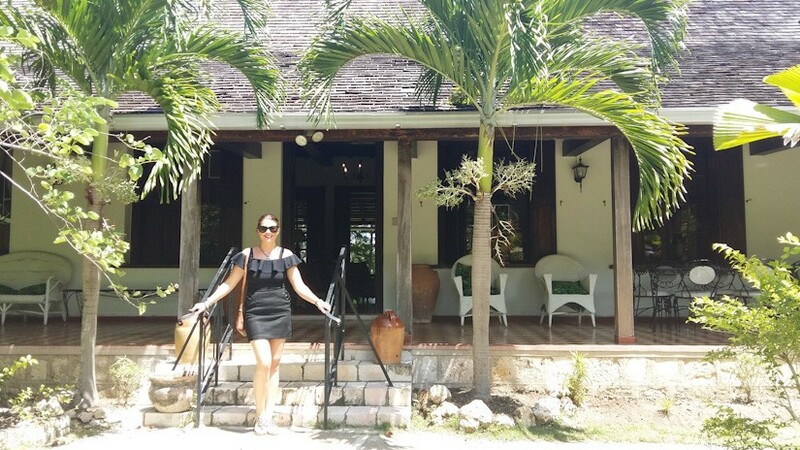 Whilst we love getting to know the amazing staff, food, surroundings and amenities which all of our Jamaican villas have to offer, we think that it is essential to get to see as much as possible of the beautiful Caribbean island you are visiting! In order to confidently recommend which are the best places to go in Jamaica we have to have visited them! Our trips to the Caribbean are extremely jam packed with villa inspections, meetings and emails but we always try to experience all of the best things to do. 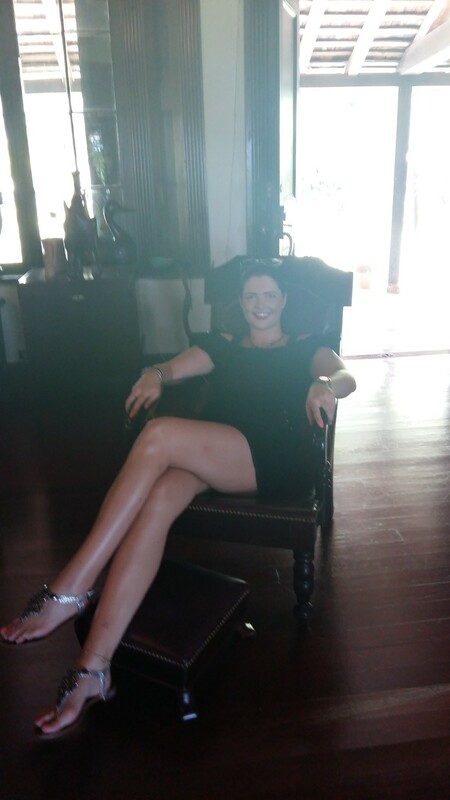 I believe the best way to accompany your luxury vacation is with a little adventure! 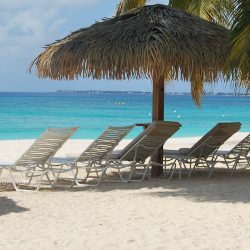 Here are my top 3 things to do in Montego Bay. 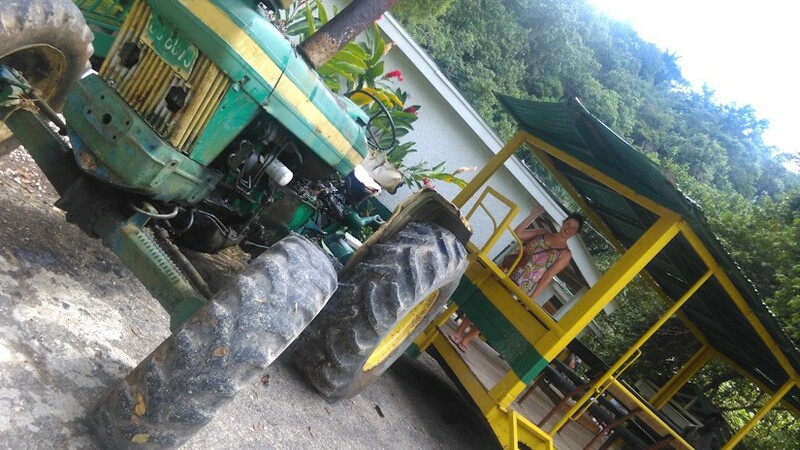 A colourful Chukka bus collected us at the villa and brought us on a 20 minute drive up a mountain full of twists and turns that Jamaican roads are famous for! Once we arrived we met Captain Noel. He introduced himself as “Noel – like Christmas ya know?” and who doesn’t love Christmas!!! 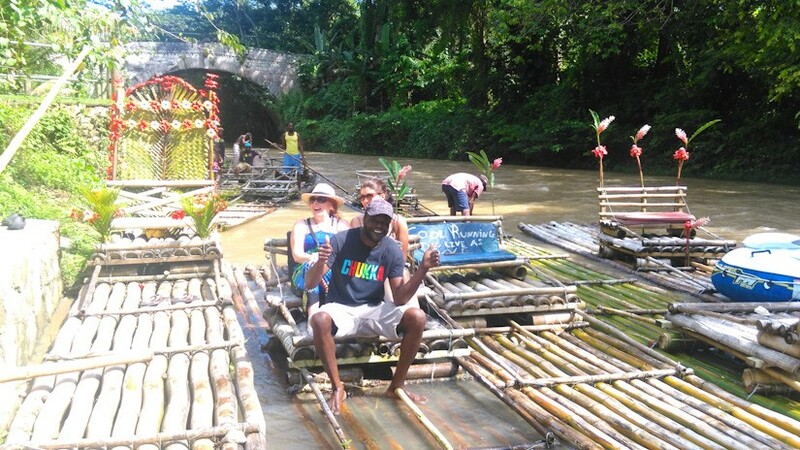 Noel is a local Jamaican and loves his profession as a Captain on his handmade Bamboo Raft. He kept Noreen and I smiling and laughing from ear to ear the entire time! Captain Noel made little surprise stops (I won’t ruin the surprises for you all!) and educated us on all the plants and foliage that locals use for natural remedies and ailments for years and years. He also gave us his own rendition of Bob Marley’s Three Little Birds. Nothing, and I mean nothing, is more relaxing than floating down the Great River, coconut in hand, while “Singing’ “Don’t worry ’bout a thing, ‘Cause every little thing gonna be alright!”. 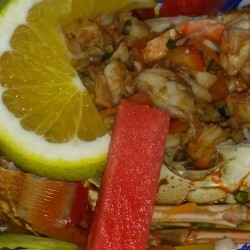 Sadly the 3 mile raft ride came to an end…Next stop- Banana plantation! Fresh off of our bamboo rafting adventure, we were whisked onto a seated trailer on the back of a tractor with our driver, Mr.Dalton Linton. Off we went on the bumpy track to the banana plantation, Dalton looking back to make sure that we were all still there with every bump! Dalton was full of fun facts about the uses of Banana Trees. Noreen and I were surprised to hear the banana tree is used in the production for so many things including Barbie doll hair, cardboard, tights and fishing line to name but a few! Dalton also taught us how Jamaicans would balance huge bunches of bananas on their heads and walk for miles with at least two bunches on their head along with a bunch in each hand…more if they could. More bunches of bananas = more money! 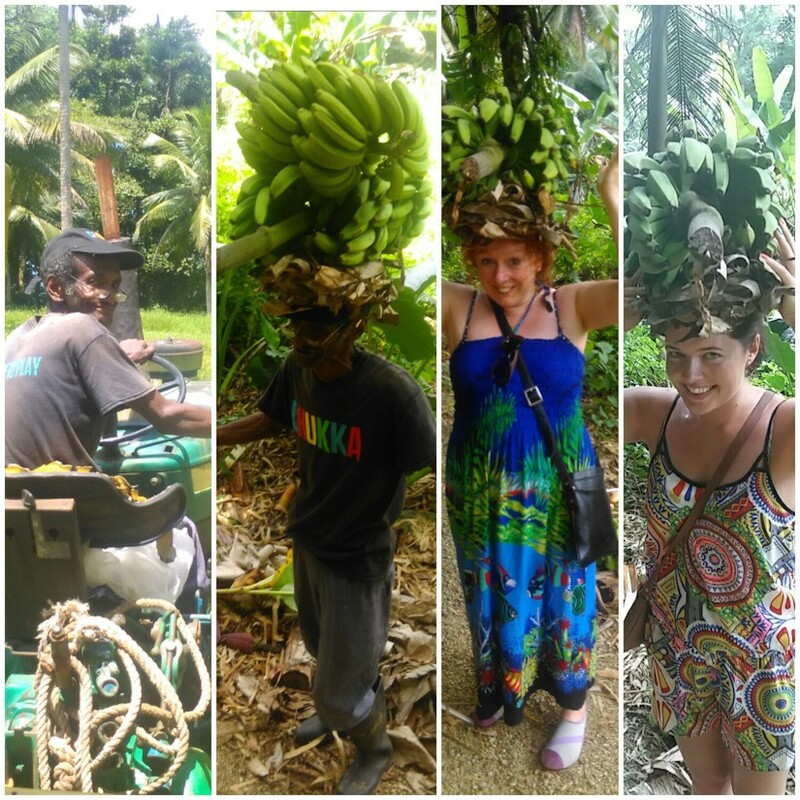 Noreen and I tried and failed to balance banana bunches on our head…so we decided we’d stick to the day job! 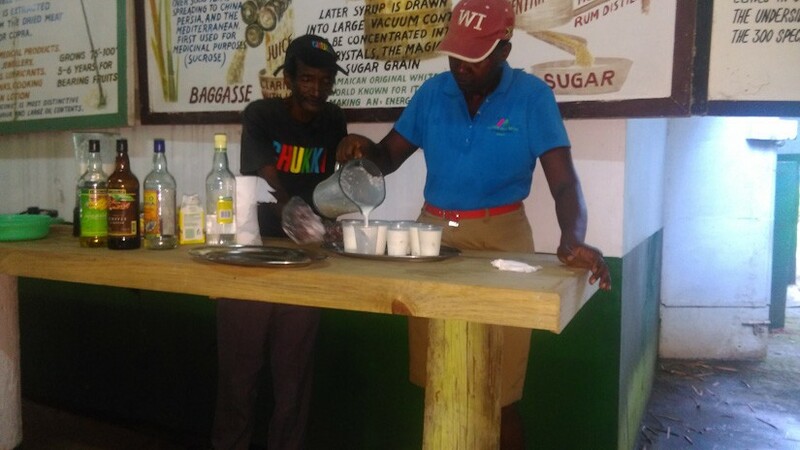 At the end of the tour, Dalton brought us for some rum tasting and surprised us all with his cocktail skills! He’s a man of many talents! 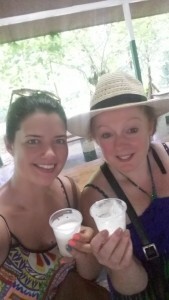 He gave us little tasters of flavoured rum including coconut, banana and coffee. His grand finale was demonstrating his own special Pina Colada recipe with real coconut pulp! He poured us all a drink and we sat by the Great River while slowly sipping the delicious coconut cocktail! I was secretly hoping he would burst into song with a few verses of the Pina Colada song for the occasion! This trip was courtesy of Chukka Adventures who offer so many unforgettable experiences. This was just one of many but it has given us memories of Jamaica that we will hold onto forever! Noreen and I would love to co-ordinate the perfect Chukka Adventure for our Exceptional guests! 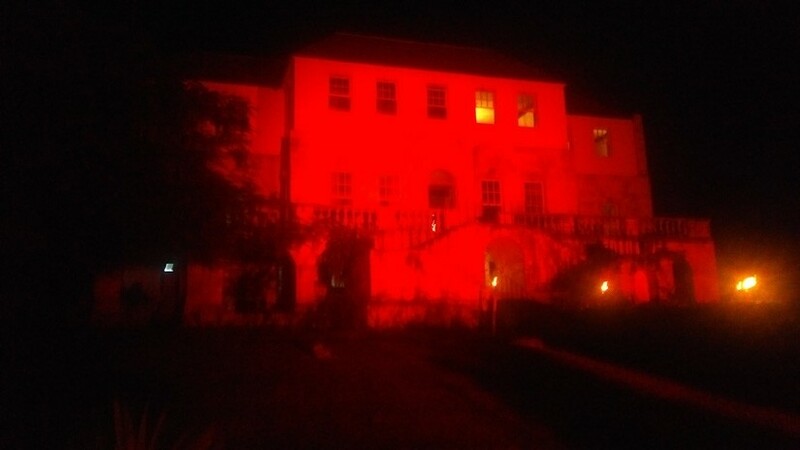 Rose Hall Great House, built in the 1700s, is one of the finest examples of colonial Jamaica that opens your eyes to another era of history where sugar cane plantations, cruel landowners and slavery were commonplace. Read more about the history of Jamaica. What truly makes Rose Hall interesting is the legend of Annie Palmer, famously known as the “White Witch”. As the story goes, Annie was awarded this title because of her expertise in the black art of voodoo which some say she used to attract her first husband, John Palmer, who owned the Great House. Voodoo was not the main talent that earned Annie her “White Witch” title. It is widely believed but never proven that Annie Palmer murdered her three husbands including John Palmer and many slave lovers during the short 10 years she lived on the plantation. Noreen and I did the tour at night which made it extra creepy but there is also the option of a day tour if you’re not so brave! We clung onto each other for dear life and let out shrieks and geeks with every creak or sound we heard. Noreen and I are both fans of Johnny Cash so we were most excited for our private tour of a home where Johnny and June retreated to for 6 months of the year for over 40 years. Jamaicans loved them and they loved Jamaica…They found their happy place at Cinnamon Hill away from all the hustle and bustle back in the States. We were introduced to Theisha, our wonderful tour guide who would tell us the great history of Johnny Cash’s Cinnamon Hill and sing us her own beautiful rendition of “The Ballad of Annie Palmer” at the end of the tour. 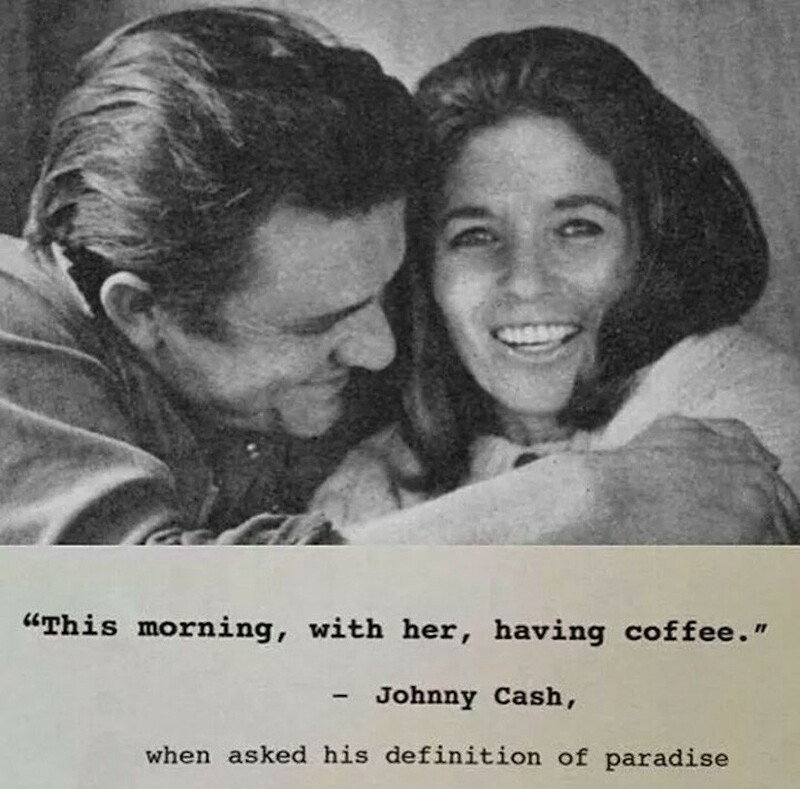 As soon as we were walking up the beautifully landscaped gardens the hairs instantly stood up on the back of our necks… We walked into the front room and it was as if Johnny and June had just left. It seemed as though they would arrive back at any moment and greet us with warm smiles. Theisha told us that they loved to entertain and always had many celebrity friends visiting… If only the walls could talk… and sing! The way they have preserved the home is as if they froze it in time. shoes and dresses hung neatly in her wardrobe upstairs. June Carter takes centre stage here as Theisha showed us all the curtains, cushion covers and wall decorations that June made herself. 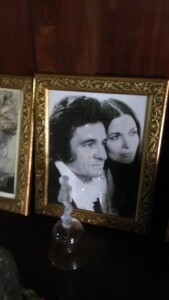 Cinnamon Hill is a very special place full of happy memories, preserved in a way that will leave you easily imagining Johnny and June drinking their morning coffee on the two chairs on the porch or having a sing-along at the piano downstairs. Not many people are aware that Jamaica was such a big part of their lives and I’m sure it was nice for them to keep it a secret for as long as they could. They clearly loved Jamaica and its people as the first chapter in Cash’s autobiography is entitled Cinnamon Hill and he writes that “I feel truly at home in this beautiful country, and I love and admire its proud and kindly people.” Noreen and I wholeheartedly agree with this statement. Cinnamon Hill is not yet open to the public, but Noreen and I can arrange a private tour for your group. 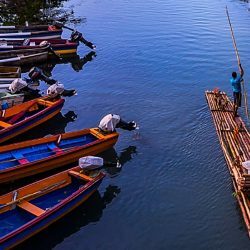 It is a magnificent hidden treasure of Jamaica that not many know about… This tour could be one of the highlights of your trip, particularly if you are a fan of the “Man in Black”.